The Tories have “washed their hands” of responsibility by failing to build the houses needed by ordinary families, John Healey said today. Healey, the shadow housing secretary, spoke out as it emerged that spending on social homes has hit a record low, according to research by the National Housing Federation. 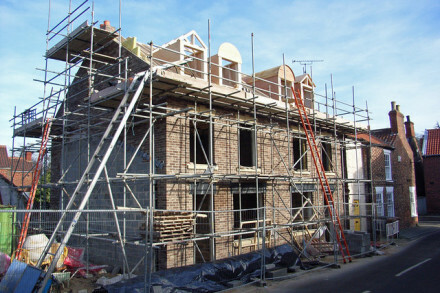 The MP for Wentworth and Dearne said: “Under Labour in 2009/10 we started building almost 40,000 homes for social rent. By last year this had fallen by 98 per cent to fewer than 1,000. “Ministers try to hide their failure to build more affordable homes by branding more homes ‘affordable’. The Conservative definition of affordable housing now includes homes close to full market rent and on sale for up to £450,000,” he added. Interested in housing policy and coming to Labour conference? Why not come to LabourList and Crisis’ event on rough sleeping and devolution, 3.30-5pm Monday 25 in The Grand. We’ll be hearing from Melanie Onn, Andy Burnham, Crisis chief executive Jon Sparkes, Steve Rotheram and Helen Hayes.